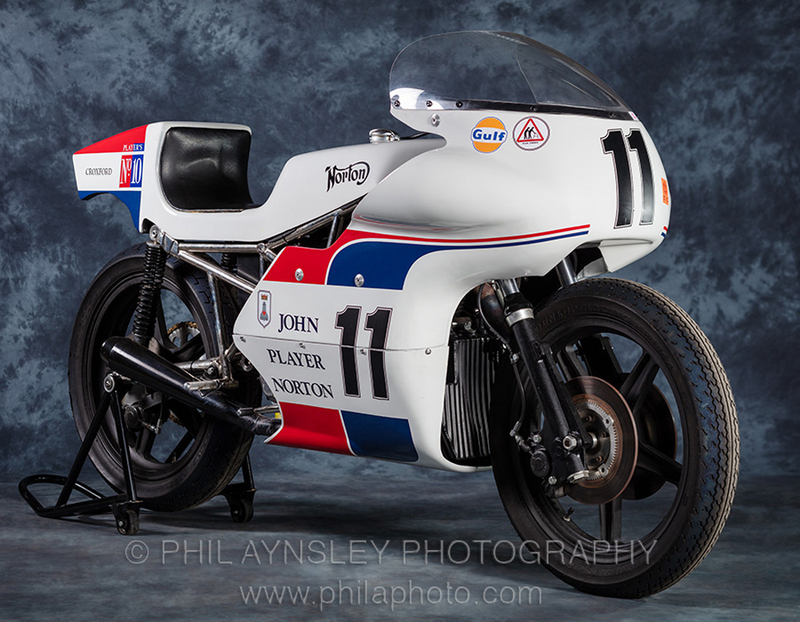 The last of the John Player Specials was the 1974 Space Frame, which replaced the Monocoque of the year before. 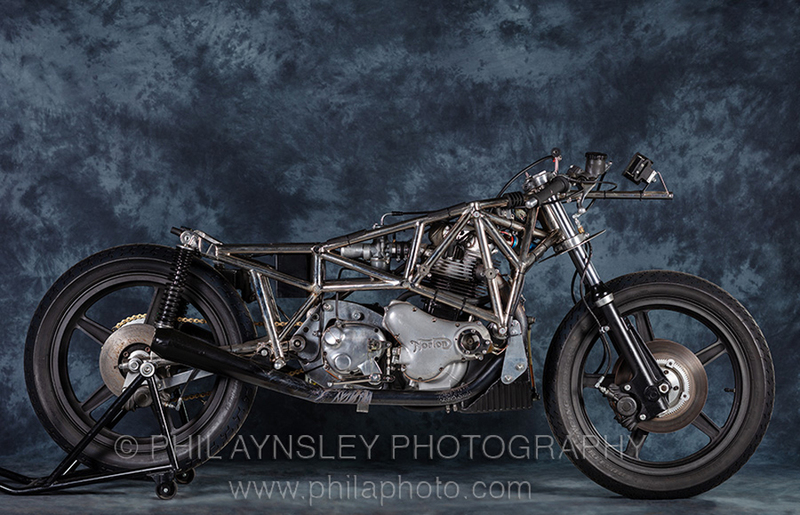 The multi-tube trellis frame still surrounded the motor but was a lighter, more mechanic-friendly design. 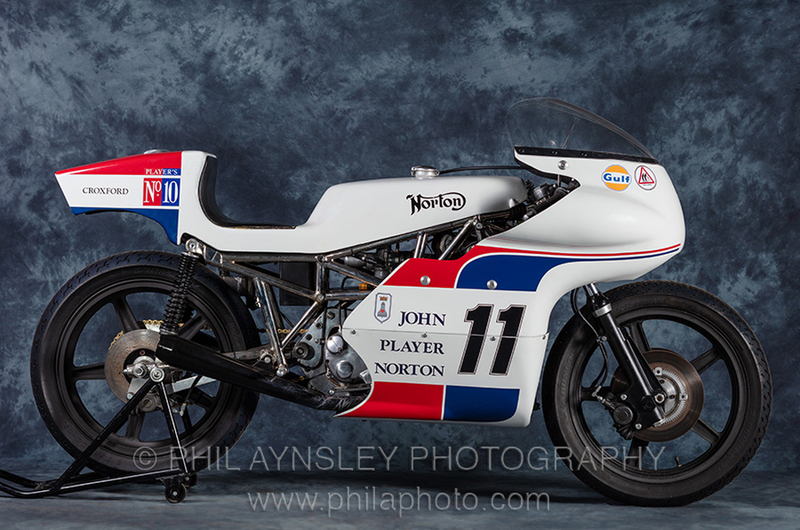 The engine used was the short-stroke Commando unit fitted with a dry clutch and modified primary drive that featured an extra outrigger bearing. 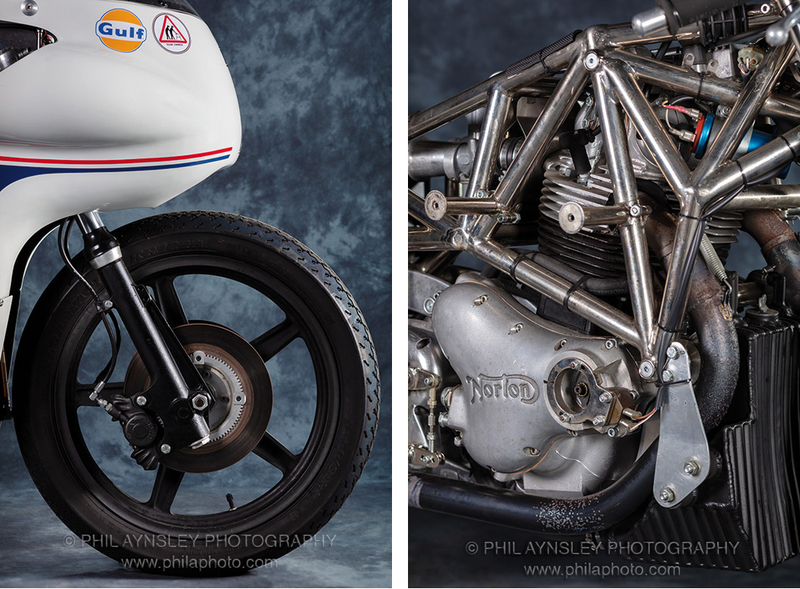 Four race bikes were constructed (also a prototype that had a differently designed frame). 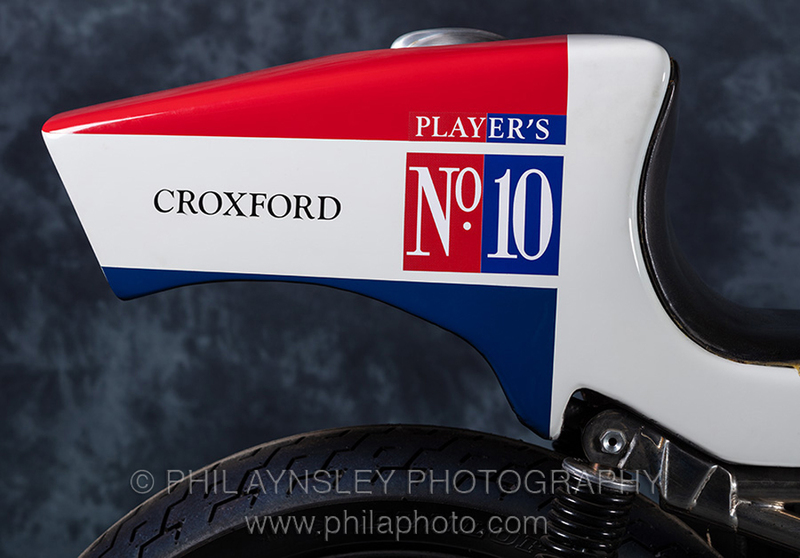 This bike was raced by both Peter Williams and Dave Croxford. 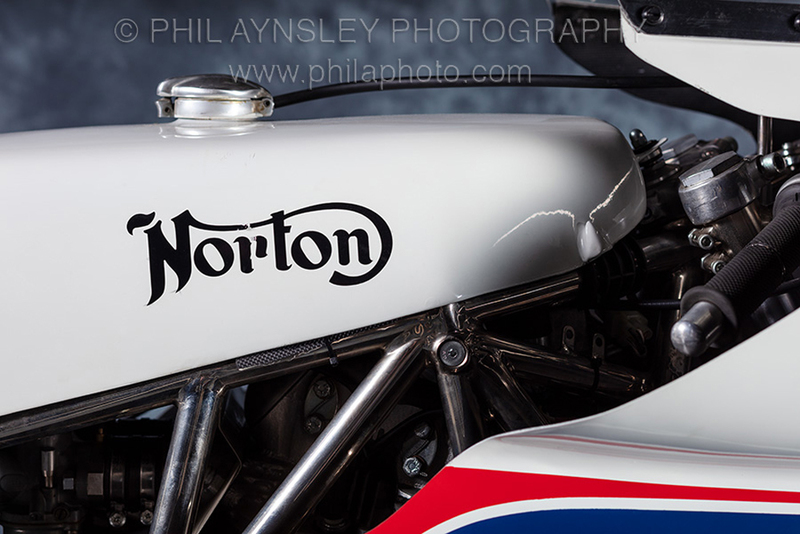 Williams used it to win his last race at Spa before it was past on the Benilux Norton agent, Podevyn, to compete in local F750 events. 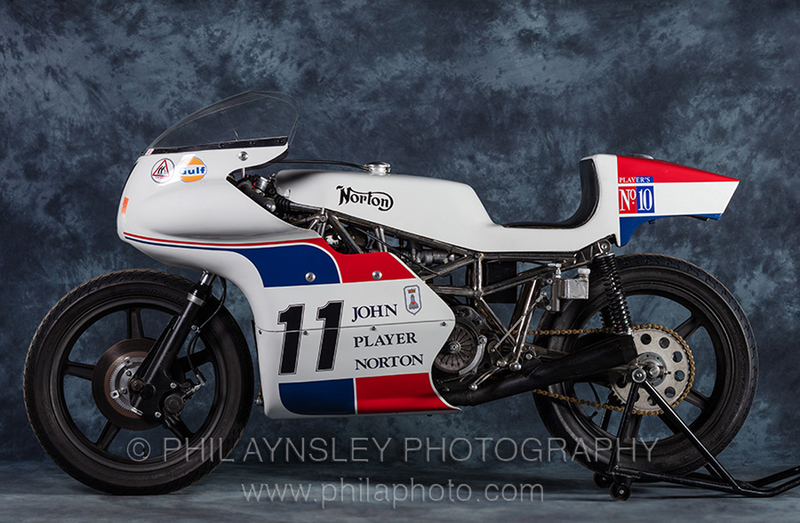 It has been restored by P & M Motorcycles in Middlesex. 78hp at 7,800rpm. Weight 150kg. Top speed 265kph. Photographed by Phil Aynsley in southern England. 2018.